However, for residents of Trenton, particularly those experiencing homelessness, such an option did not exist on days when temperatures were at their highest. The Trenton Free Public Library (TFPL) on Academy Street, part of which was built in 1902, was shut down frequently, with closures coinciding with high temperatures. An analysis by The Streetlight of online announcements by the TFPL found that the library was closed on 12 days during this summer alone due to concerns over heat in the building. 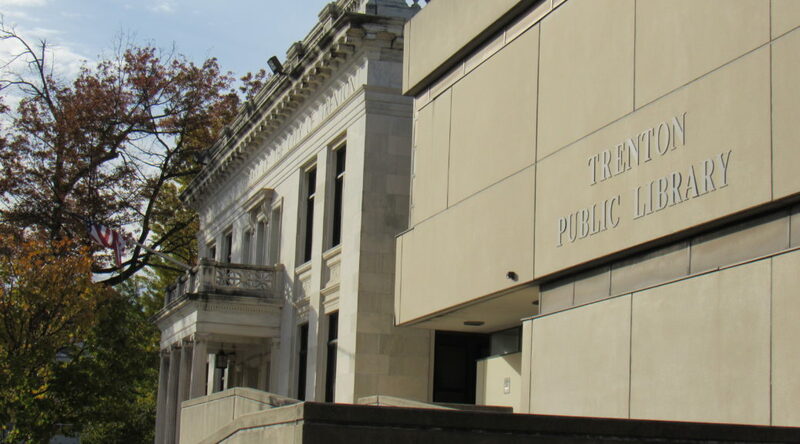 On 12 additional days, the TFPL closed early, meaning that for nearly an entire month’s worth of days, the municipal library in New Jersey’s capital was either shut down for all or part of its usual hours of operation. Patrons who sought the library’s services during the day were often greeted with a sign reading “the library is subject to close at any time during the day due to the temperature within the building.” On Facebook, there were regular posts this summer warning potential visitors that the library will be shut down for the day “due to the excessive heat and humidity in the building.” Although posts on July 25 and 26 and on August 1, 3, 4, 6, and 9 mentioned that “HVAC engineers are on-site working on this issue,” there were closures on excessively hot days throughout the summer, from the end of June until the beginning of September. Following these shutdowns, it appeared as though an end to the weather-related closures was near, with the TFPL posting online at the end of the summer that a new HVAC system was installed, replacing a previous system that was set up over four decades earlier. The library also thanked the Trenton City Council for assisting with funding the new system. Yet, just a few months later, extreme weather impacted the TFPL again. On three frigid days before this winter even began, the building was closed to the public due to concerns over the climate control system on the premises. The Streetlight took the concerns over the closures to Trenton Mayor Reed Gusciora, who stated in an exclusive interview in late November that the problem was being addressed. “We’ve actually been working on the HVAC system and we are making facility upgrades to the library,” said Gusciora. When asked what was causing the delay, the mayor cited “contractor challenges” and added that secondary fixes are on the way. “We hope to correct any problems with the library facility in the very near future,” he explained. The capital is far from the only city in the United States where residents experiencing homelessness rely on libraries for services and shelter during the day. A Washington Post investigation described libraries as the “front line of America’s homelessness crisis,” highlighting San Francisco, Denver, and Philadelphia as examples of municipal libraries that are hiring their own social workers for individuals experiencing homelessness. 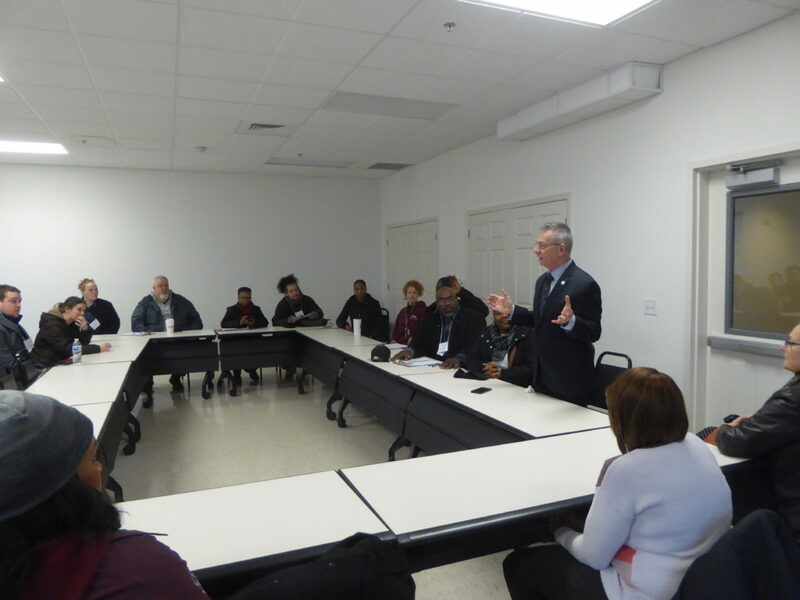 In Trenton, while there are a handful of other resources that are open to Trentonians experiencing homelessness, such as the Rescue Mission of Trenton’s Day Center. This facility, which is open daily, serves lunch and offers case management services. However, the TFPL remains a common place for individuals to spend the day safely indoors when it is open. Unlike other similarly-sized cities in New Jersey, Trenton currently has only one municipal library branch. Although the TFPL used to operate the Briggs, Cadwalader, East Trenton, and Skelton Branches in four of the city’s outer neighborhoods, all four were closed in 2010. According to Mayor Gusciora, City Hall is figuring out how those libraries can be reopened. 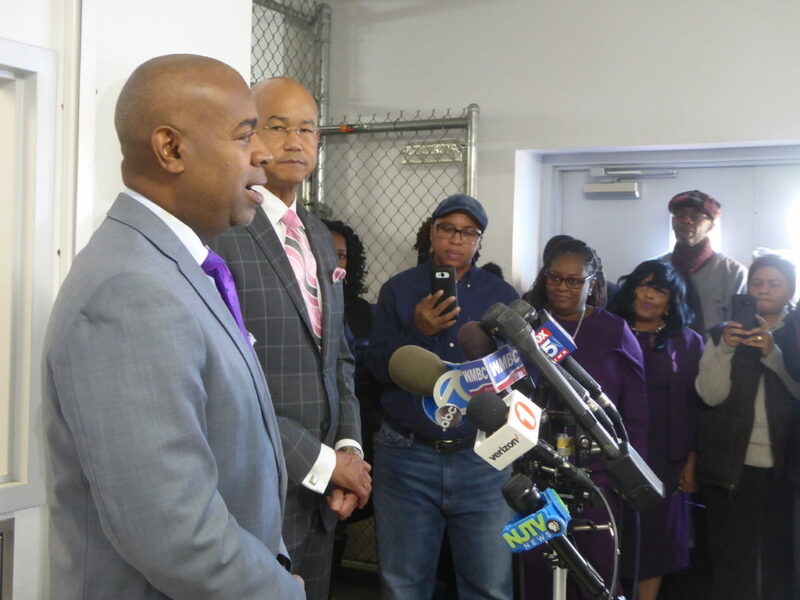 When asked for additional details, the mayor stated that the City would require non-profit partners to operate each of the old library branches, such as how Howard’s Healthy Choices is operating in the former Briggs Branch Library. Facility upgrades are needed, Gusciora explained, mentioning that the City is in discussions with Mercer County officials about possibly having Trenton become involved with the Mercer County Library system. Still, nearly a decade after the branches were shuttered, when it comes to the TFPL, finances remain a concern. For the last several months, New Jersey’s capital has been under new leadership. W. Reed Gusciora, a former state assemblyman and adjunct professor at The College of New Jersey, was sworn into office as Trenton’s 56th mayor in July. 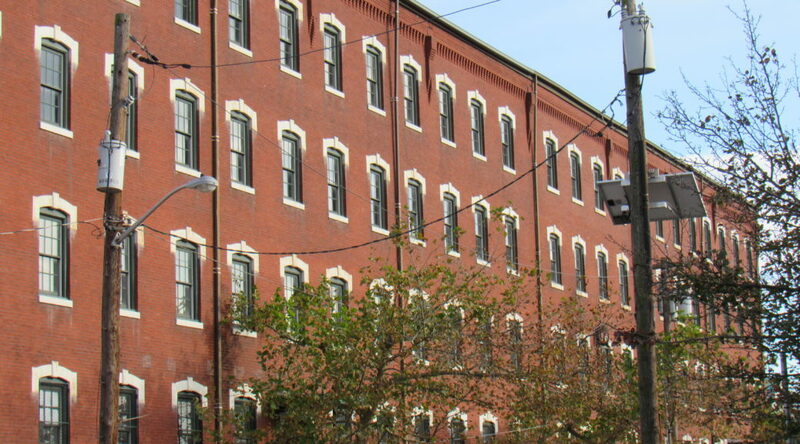 With the 2018 Point-in-Time Count finding that overall homelessness has increased in New Jersey, The Streetlight wanted to know how Gusciora is planning to address the issue on the local level. Here is a preview of Managing Editor Jared Kofsky’s Q+A with the mayor, which was conducted in late November. 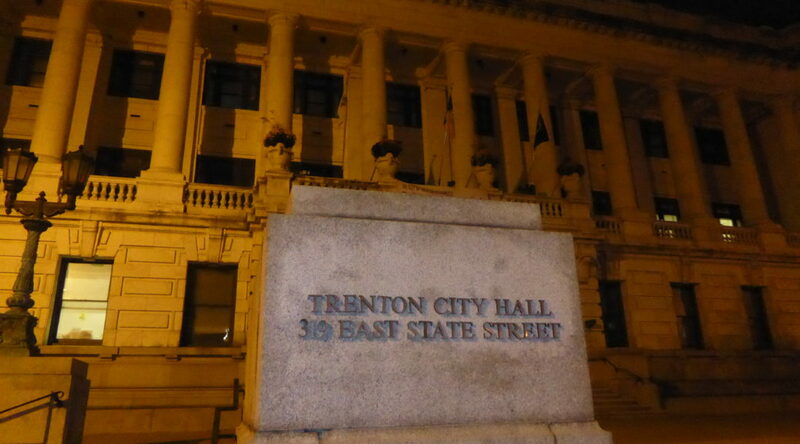 The Streetlight: Why do you think Trenton has such a significant population of people experiencing homelessness? What do you think the cause [of homelessness] might be on the local level? Gusciora: On the local level, a lot of it is mental health and addiction services are needed. The other thing is that we’re such a transient town. We have four train lines, people can walk across the bridge from Morrisville, and because it’s the capital, they feel that they can get the most assistance here. 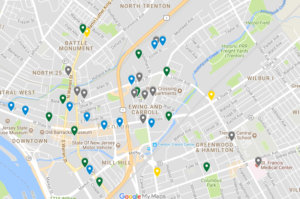 We have a lot of churches that offer food assistance [and] we have the Trenton Area Soup Kitchen, so there are a lot of outlets that the homeless population can take advantage of. 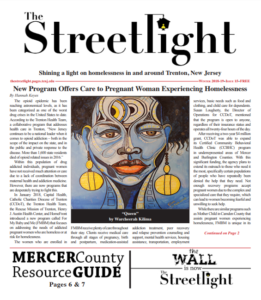 The Streetlight: The Rescue Mission is the only general population emergency shelter in Mercer County. 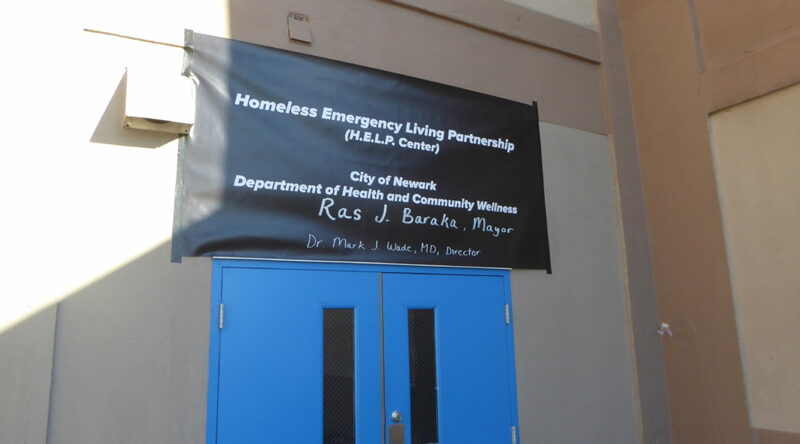 With Newark adding seven shelters, are there plans to open a city-run shelter in Trenton? Gusciora: We can look at that but we’re focusing on transitioning to more permanent housing. I don’t think just offering more temporary shelters is necessarily the answer. The Streetlight: What projects are you envisioning as part of an increase in transitional housing? Gusciora: The Rescue Mission has a good model where they have rooms for temporary shelter but then they have a long-term temporary shelter where [people experiencing homelessness] have actual rooms assigned to them and they actually have apartments that they can stabilize long term until [clients experiencing homelessness] are able to get off on their feet. The Rescue Mission is not strictly temporary overnight housing and that’s something that we have to look for rather than just offering temporary shelters. The other thing is that we are the state capital so we need the state and the county to be very much a partner because if you look at the other communities that surround us, they offer very few homelessness services and they really need to step up to the plate so that everyone doesn’t just get funneled into the capital city. The Streetlight: If you could have it your way as mayor, what would that look like to have other communities step up to the plate? Gusciora: I think that they should have an obligation to offer some kind of temporary housing and bring the services to them directly, whether it be mental health or addiction services, rather than just give somebody bus fare to the capital city. I don’t think that really is responsive. The Streetlight: Is there any plan specifically for increasing services addressing youth homelessness such as or in addition to Anchor House? Gusciora: Well there’s other organizations such as LifeTies. A big consequence of homelessness are LGBT youth that seem to be tossed out of their family’s structure and as society gets more tolerant, that will be less of a problem but nonetheless, it’s critical to offer those services as well but there are other organizations that are willing to step up to the plate such as LifeTies. The Streetlight: Do you think then that homelessness should be addressed by non-profits or should the city government play more of a role? Gusciora: Well the problem is that the City doesn’t have the resources to handle the problem itself so it does have to rely on faith-based initiatives as well as general non-profits. If the State of New Jersey paid dollar-for-dollar in their property taxes because of all the tax-exempt properties that they occupy, they would give the City $45 million, but yet last year, we got $9 million in transitional aid, so we can’t keep going back to our own tax base to pay for such programs so we really need for the state and the county and even the feds to step up to the plate. Selected questions and answers have been slightly condensed for spacing purposes. Editor’s Note: TCNJ Bonner Community Scholar Jahnvi Upreti is studying abroad in Italy and filed this report that gives an international perspective on media for individuals experiencing homelessness. 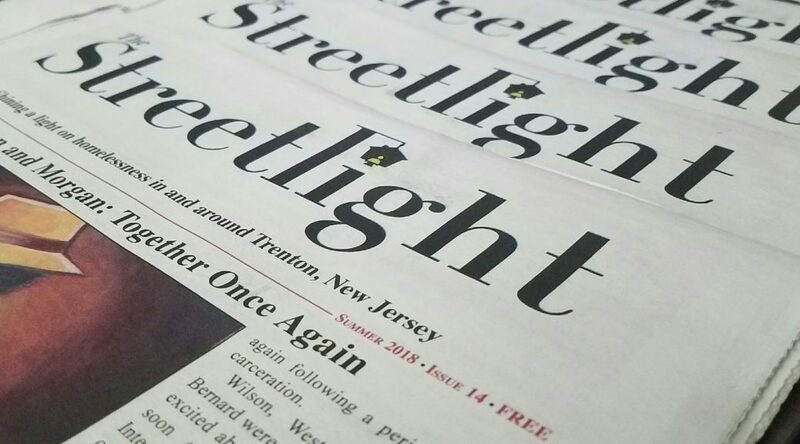 While The Streetlight has been serving local communities for nearly a decade, this publication is far from the world’s only media outlet published for and with people experiencing homelessness. In Bologna, Italy, another outlet not only serves as a newspaper for the city’s population experiencing homelessness, but has become an institution for local residents. Within the heart of Bologna’s town center, at the corner of Via Antonio di Vincenzo and Via Francesco Albani, lies a small storefront with a brightly decorated chalkboard reading “Happy Place.” A social space provided by the municipality of Bologna, Happy Center is managed by the Piazza Grande cooperative. Piazza Grande is an incredibly respected organization in the city of Bologna that actively provides social spaces and services for Bologna’s homeless population. However, not many today realize that the expansive and well-known organization was once only words written on paper. In 1993, the first publication of the original Piazza Grande newspaper was released in Bologna. The paper’s intention was threefold: to allow marginalized individuals within Bologna to express themselves through art and writing, to provide them with a means of financial self sustainability, and to battle social exclusion and affirm the rights of the homeless population. Those who contribute to the newsletter include individuals experiencing homelessness, volunteer journalists, and professionals from the social services field. Since 1993, the grassroots newspaper has evolved from a platform for individual self expression and sustainability to the established organization recognized today. Though these chronicles were a step towards greater autonomy, they were not enough to allow for greater agency within society. These individuals decided to pursue the resources needed to create a space where they could not only share ideas and stories through a paper, but where they could find solidarity through common experiences like socialization and art. With help from the Municipality of Bologna, Piazza Grande was created by those who needed it most. Piazza Grande provides a number of services to people in the margins of Bologna, such as housing, social services, vocational support, counseling, and more. Its sub-organization, Happy Place, was designed as a community laboratory for individuals experiencing homelessness, but open to anyone. Happy Place provides a space where people can participate in group activities, such as English-Italian language exchanges on Wednesdays and musical sessions on Fridays. Happy Center also allows individuals to simply utilize the space, no participation in specific group activities are required. Salvatore, a frequent visitor at the Happy Center, elaborated further on the importance of spaces such as those provided by Piazza Grande for marginalized populations. As an individual who has experienced homelessness, Salvatore delineated how Happy Place allows him to “work” by providing him with a space to create his art: specifically jewelry and mirror designs. Since the start of the Piazza Grande publications in Bologna, the newspaper has slowly shifted from a platform designed solely by the homeless communities of Bologna, to one co-opted by greater newspaper organizations, such as the Bologna Press. The publications of Piazza Grande have been suspended since the summer of 2018, until this coming December in order to revamp the publication and focus on the voiceless once more. Experts in social journalism will be working with members of Piazza Grande to recommit to the initial goals of tackling social exclusion by placing the voices of marginalized individuals at the forefront of the newspaper. The publications have also adapted to include a new goal: to fight racism, specifically in regards to migrants. 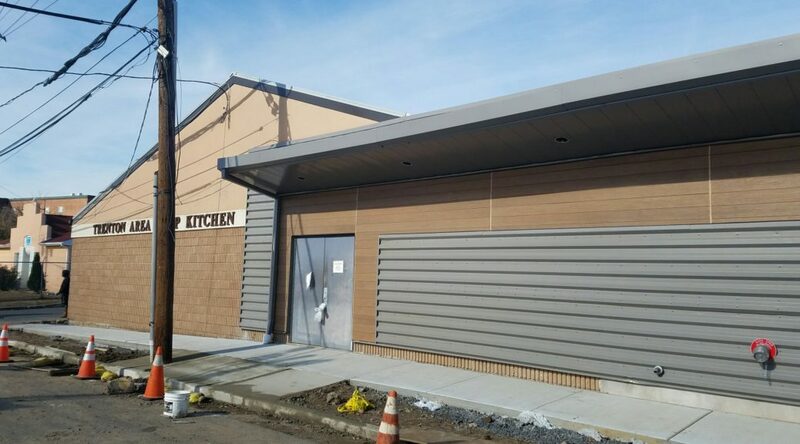 The new wing of the Trenton Area Soup Kitchen. Photo by Jared Kofsky/The Streetlight. An air of excitement looms over the Trenton Area Soup Kitchen (TASK). The many noises that accompany construction provide a backdrop to the daily business of the soup kitchen and oftentimes interrupts tutoring and meal service. 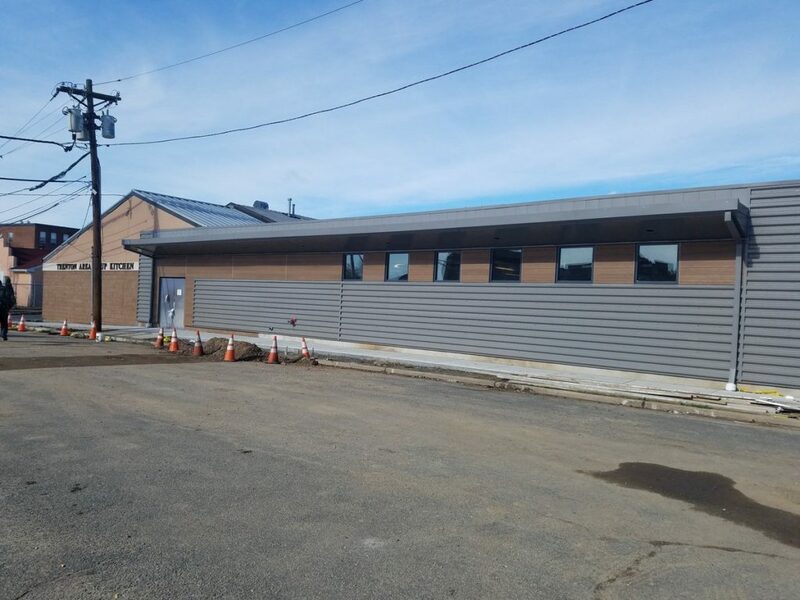 The 3,400 square foot expansion was expected to be completed by the beginning of the winter. There are some disappointments, as some eager staff harp lightly about their parking spaces being displaced. Overall, however, patrons and employees alike are excited for these new changes, just in time for the festivity of the holiday season. Dennis, another patron who is friends with Blassingame, expressed a similar sentiment. 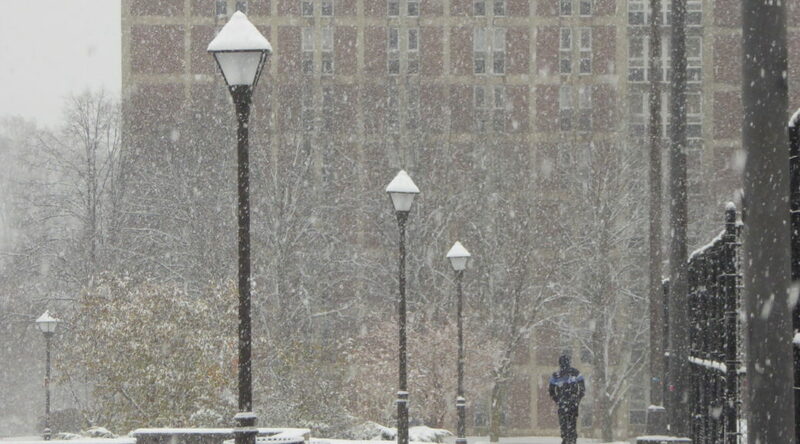 “I am just looking forward to having more space,” he told The Streetlight. However, the path to expansion wasn’t necessarily easy. “We thought we were going to renovate before we expanded,” said Melissa Rivera, TASK’s Manager of Internal Operations. Now, renovations will take place after expansion. According to Rivera, most of the operations will be transferred into the new building while renovations will be taking place in the original building. The expansion will help improve many of the programs that the soup kitchen already offers. Classrooms will be added, along with a computer lab and a testing center, all of which are expected to greatly improve the adult education program, though no new programs are currently slated to be added, according to Rivera. Reed Gusciora, Trenton’s new mayor, toured the construction site in November. 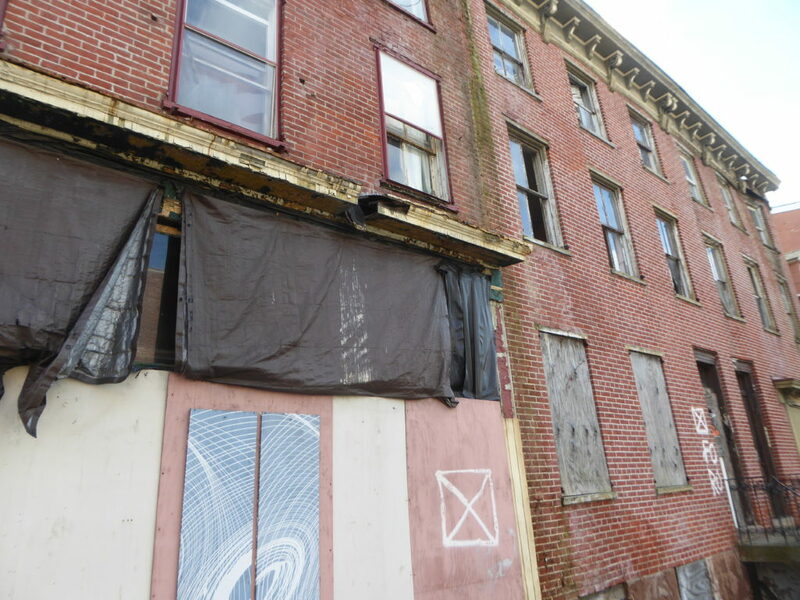 “They’ll have the capacity to serve more of the homeless population in the near future,” Gusciora told The Streetlight. 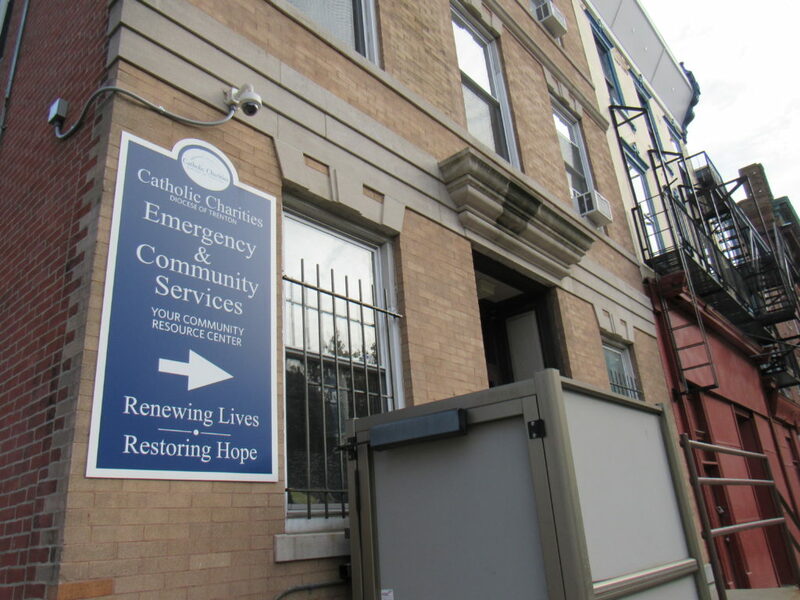 The expansion comes at a time when the latest Point-In-Time Count of people experiencing homelessness in New Jersey concluded that homelessness increased between 2017 and 2018. TASK has been at its Escher Street location since 1991. Since then, it has served over a million meals, whilst simultaneously offering programs that are designed to improve the quality of life of its patrons. “I’m optimistic that the expansion will increase our capacity to serve the community,” Rivera said. A grand opening celebration has been scheduled for May 3, 2019. The College of New Jersey’s campus in Ewing Township. Photo by Jared Kofsky/The Streetlight. A recent report in NPR stated that 36 percent of college students nationwide say they are food insecure while nine percent identify as homeless. The report cited a survey published by Temple University and Wisconsin HOPE Labs that found that in addition, 36 percent of students face housing insecurity. In the fall of 2016, Rutgers University-New Brunswick took the initiative to lighten the burden for students struggling to put food on their dorm room tables. For a university like Rutgers in nearby Middlesex County, the largest college in New Jersey, it is not surprising that there is a need for the school to provide aid for a population of students facing these crises. The Rutgers Student Food Pantry (RSFP) is a new operation that is centrally located for students, who are not required to make an appointment to take advantage of the facility’s services. The food pantry offers filling options, such as pasta and rice, with important supplements like protein included. Rutgers students only need to bring their campus ID upon arrival and fill out a brief identification form before being able to take advantage of the food pantry’s services. Rising tuition combined with declining financial aid and lingering effects of the recession all increase students’ vulnerability to food insecurity, Wilson said to Rutgers Today. The Daily Targum reported in September 2018 that $2 million would be donated to extend the services that Rutgers already provides for its students in need, such as food pantries. In order to increase the accessibility of the pantry, improvements have been suggested to the program, including an extension of hours, particularly on the weekends, for student who spend most of their week in class or at work. Rutgers University is not the only Garden State institution that has a food pantry. Locally, in Mercer County, Rider University also has a similar resource. According to Rider’s website, the food pantry opened in February of last year. “The pantry responds to the unmet needs of Rider students, with special consideration for homeless and low-income students and those with food insecurity,” said Ida Tyson, the associate Director of Rider’s Educational Opportunity Program and co-chair for the pantry’s steering committee. In addition to providing food essentials to students, the pantry also provides toiletries and winter coats. 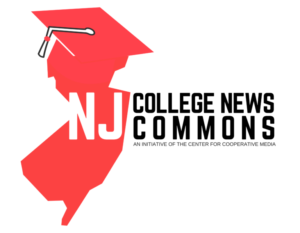 The other three colleges in the greater Trenton area, The College of New Jersey (TCNJ), Princeton University, and Mercer County Community College, do not yet have a food pantry for students. 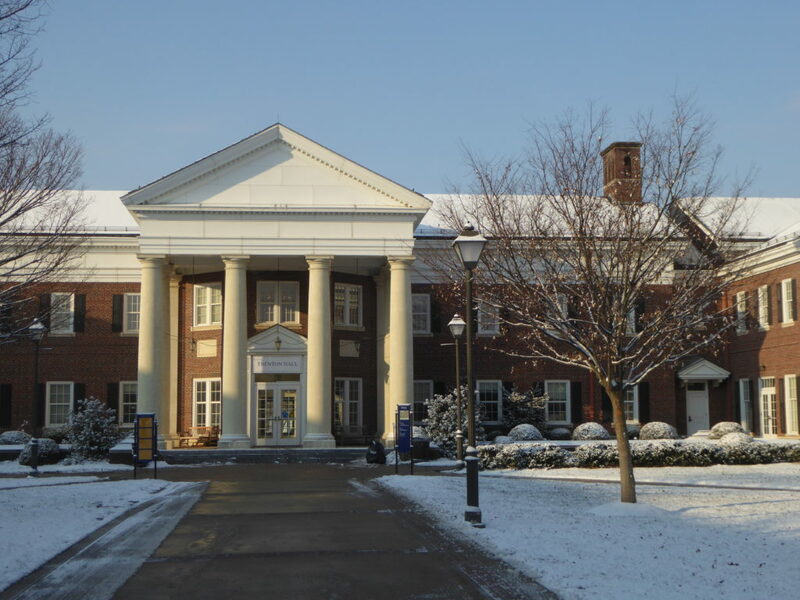 However, at TCNJ’s Ewing campus, Associate Dean of Students Elizabeth Gallus told The Streetlight that a food pantry is expected to open in the spring of 2019. 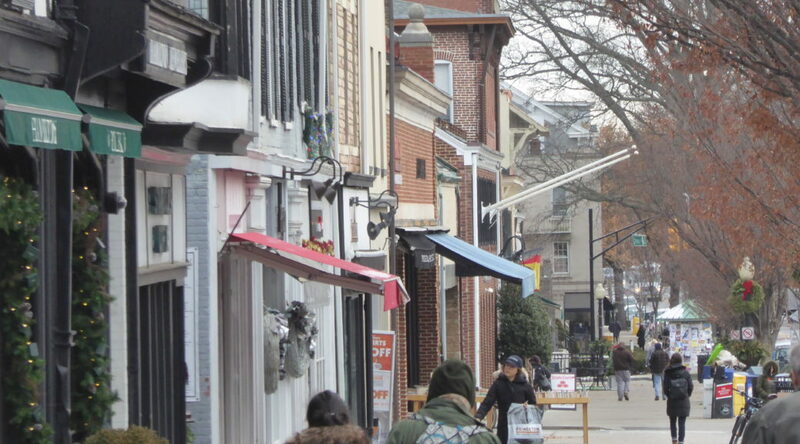 Housing Initiatives of Princeton (HIP) is a non-profit organization that was founded in 2004 to target homelessness and offer low-income housing in the Princeton area. The group, run entirely by volunteers, provides low-income families a second chance to establish a permanent home in the community. 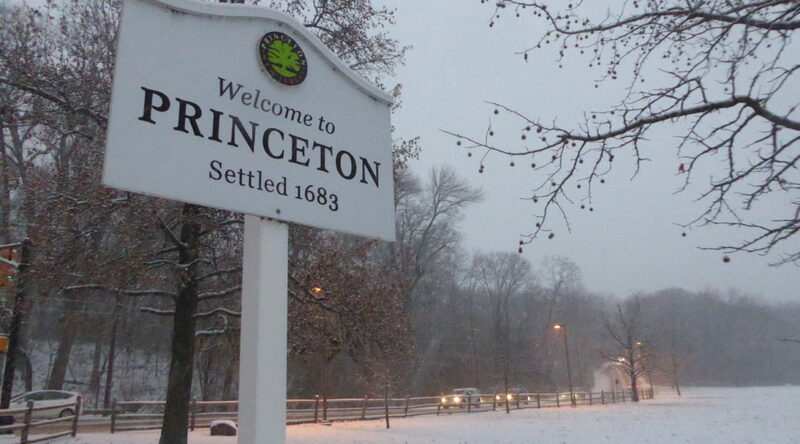 According to Carol Golden, chair of the Board of Trustees of HIP, Princeton is a very expensive town to live in, making homelessness deceptively easy to fall into. 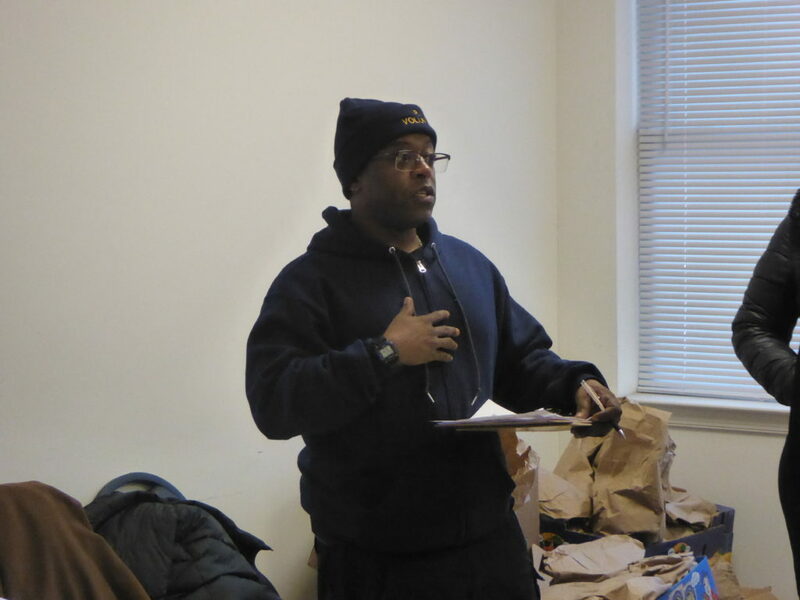 “People fall on hard times, and often, there is no one to turn to to prevent them from falling into homelessness,” Golden told The Streetlight. HIP’s transitional housing helps families who are struggling financially and those who are experiencing homelessness by receiving temporary shelter. This supportive service is available for up to 24 months, coupled with other job search programs. The organization also offers rental assistance through the form of a security deposit or first month’s rent. HIP works with local institutions such as Princeton University and Princeton Medical Center in order to assist clients. There is a plan in the works for HIP to collaborate with the center in order to establish a healthy living program for the families served by the non-profit. Aside from rental assistance and transitional housing, families may also seek assistance from HIP in regards to permanent housing solutions as well as other supportive services. 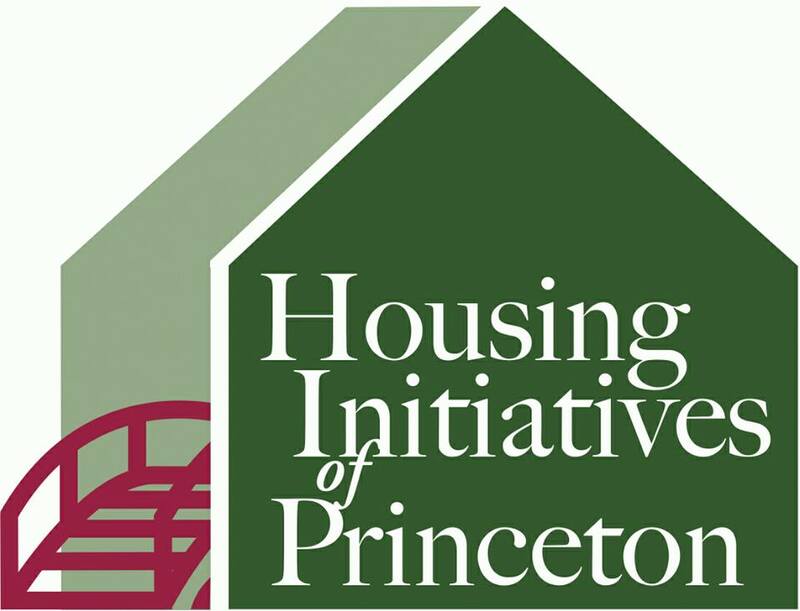 To contact HIP, call (609) 497-4535 or email them at info@housinginitiativesofprinceton.org. Homelessness appears to be on the rise again in the Garden State. The federally mandated Point-in-Time Count, held on January 23 and 24, 2018, found that the number of people experiencing homelessness in New Jersey has increased by nine percent since 2017, according to the NJCounts report released by Monarch Housing Associates. The Streetlight participated in the 2018 Mercer County Point-in-Time Count. 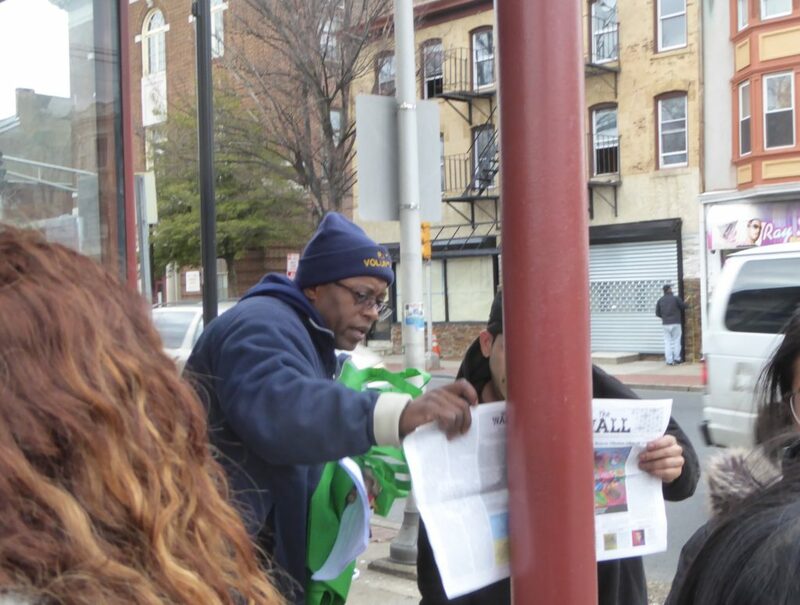 Volunteers from organizations like Oaks Integrated Care and the Rescue Mission of Trenton traveled throughout the capital city and surrounding suburbs in order to count the number of people believed to be experiencing homelessness and find out how they ended up without permanent housing. 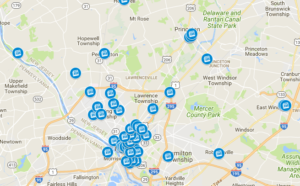 Places visited ranged from the Delaware and Raritan Canal to employment agencies to public libraries. The 2018 Point-in-Time Count shows that there are at least 479 people experiencing homelessness in Mercer County. One of the top causes of homelessness locally was found to be the transition from incarceration to reintegration into society. 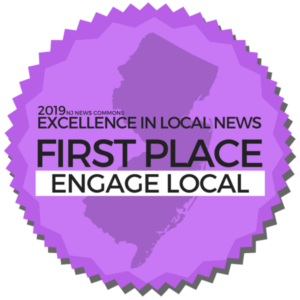 The City of Trenton, where the volunteers were based, was found to be home to 75 percent of the county’s population experiencing homelessness, with 21 percent living in Ewing Township. 63 people were unsheltered at the time while 46 percent of those surveyed were classified as “chronically homeless.” 54 people surveyed who were experiencing homelessness were domestic violence victims, and an additional 18 people surveyed were veterans. Slightly more than one tenth of the people surveyed had been experiencing homelessness for more than three years. 2018 Trenton-Mercer Point-in-Time Count volunteers. Photo by Jared Kofsky/The Streetlight. Ben Thornton of Anchor House speaks to volunteers. Photo by Jared Kofsky/The Streetlight. 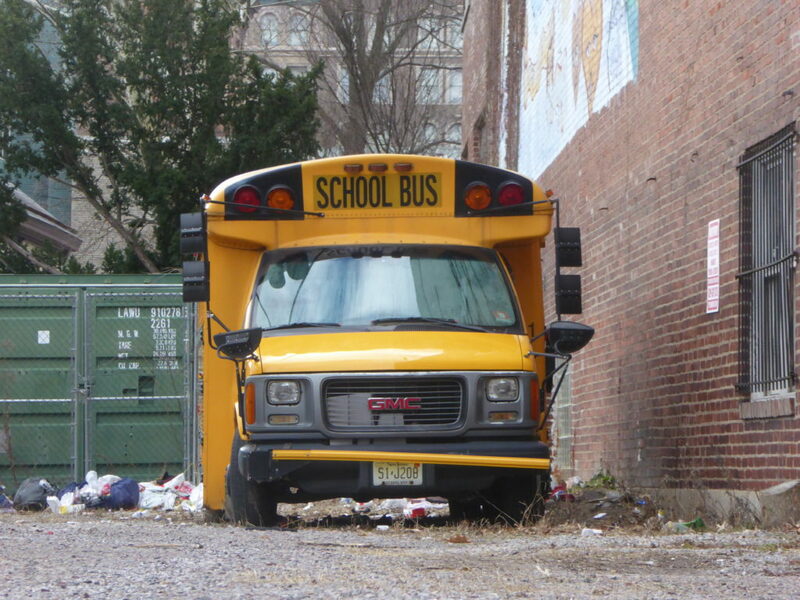 Individuals experiencing homelessness used to live in this abandoned Trenton bus. Photo by Jared Kofsky/The Streetlight. 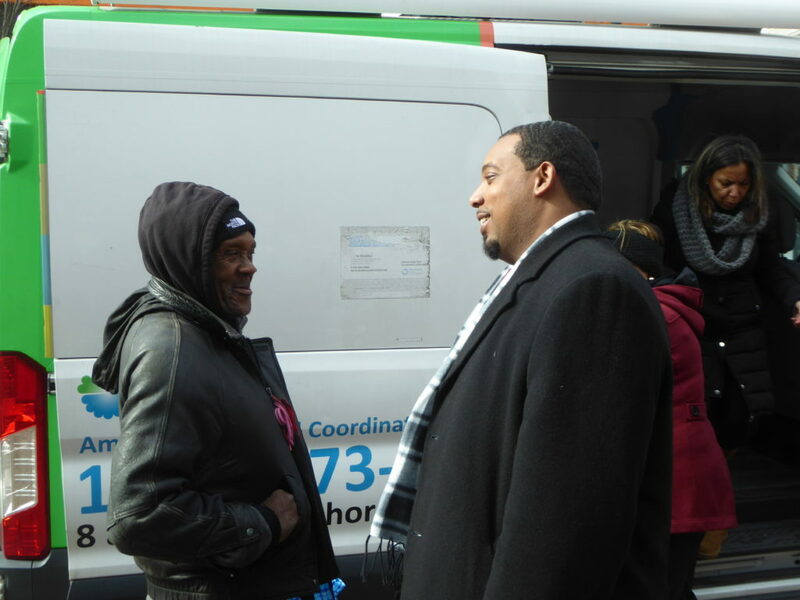 Councilman Duncan Harrison, Jr. speaks to a resident during the 2018 Point-in-Time Count in Trenton. Photo by Jared Kofsky/The Streetlight. Abandoned buildings on Perry Street in Trenton. Photo by Jared Kofsky/The Streetlight. 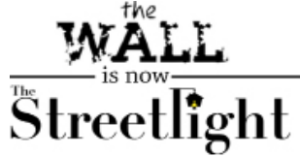 Copies of The Wall, the predecessor to The Streetlight, were distributed during the count. Photo by Jared Kofsky/The Streetlight. 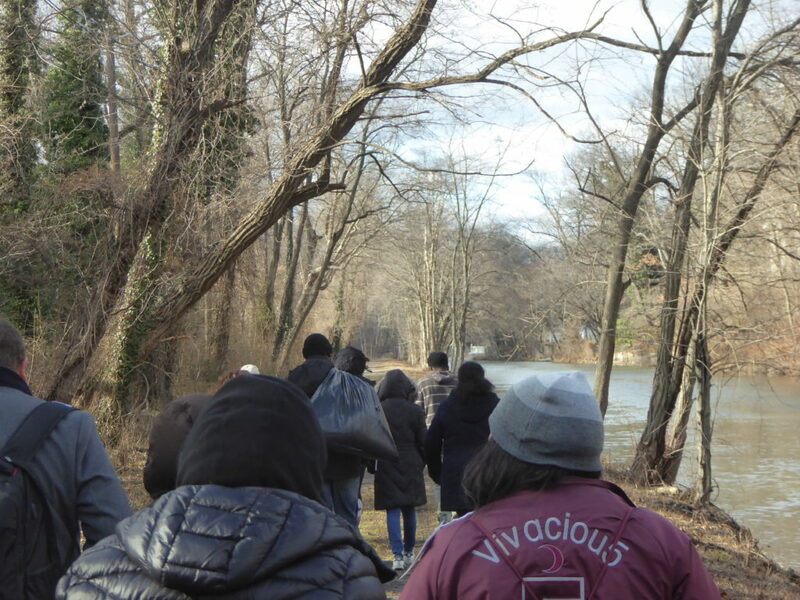 Volunteers look for individuals experiencing homelessness along the Delaware and Raritan Canal in Trenton’s West Ward. Photo by Jared Kofsky/The Streetlight. La falta de hogar se parece esta aumentando nuevamente en New Jersey. Según el informe de NJCounts publicado por Monarch Housing Associates realizado el 23 de enero y el 24 de enero de 2018, el número de personas que viven sin hogar en New Jersey ha aumentado a un nueve por ciento desde 2017. The Streetlight participó en el 2018 Mercer County Point-in-Time Count. Voluntarios de organizaciones como Oaks Integrated Care y Rescue Mission of Trenton viajaron por toda la capital y los suburbios para contar el número de personas que se creer viven sin hogar y descubrir cómo terminaron sin vivienda permanente. 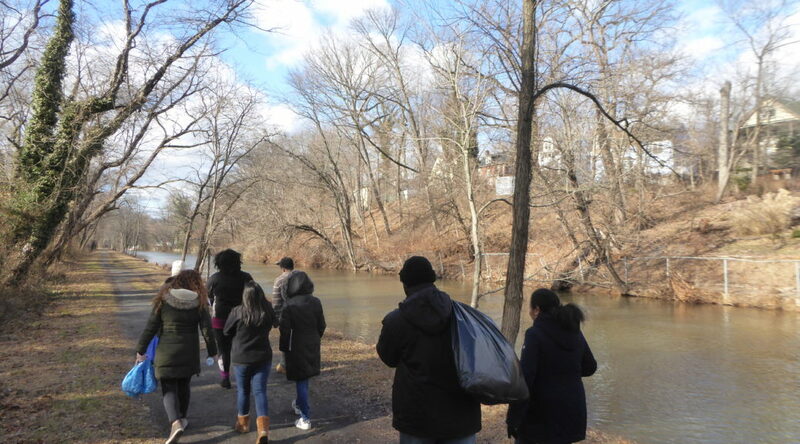 Los lugares visitados van desde Delaware y Raritan Canal hasta agencias de empleo y bibliotecas públicas. El PIT Count de 2018 muestra que hay al menos 479 personas sin hogar en el condado de Mercer. Una de las principales causas de la falta de vivienda al nivel local fue la transición del encarcelamiento a la reintegración en la sociedad. Se descubrió que la ciudad de Trenton, donde se basaban los voluntarios, era el hogar de 75 por ciento de la población del condado sin hogar, con un 21 por ciento viviendo en el municipio de Ewing. En ese momento, 63 personas no estaban cubiertas, mientras que el 46 por ciento de los encuestados se clasificaron como “personas sin hogar crónicas”. 54 personas encuestadas que se encontraban sin hogar eran víctimas de violencia doméstica, y otras 18 personas encuestadas eran veteranos. Un poco más de una décima parte de las personas encuestadas habían estado sin hogar durante más de tres años.